Less than two months after scooping the highly prestigious ‘British Short Film’ award at the 2016 BAFTAs, Caroline Bartleet dramatic 7-minute short Operator makes its way online. 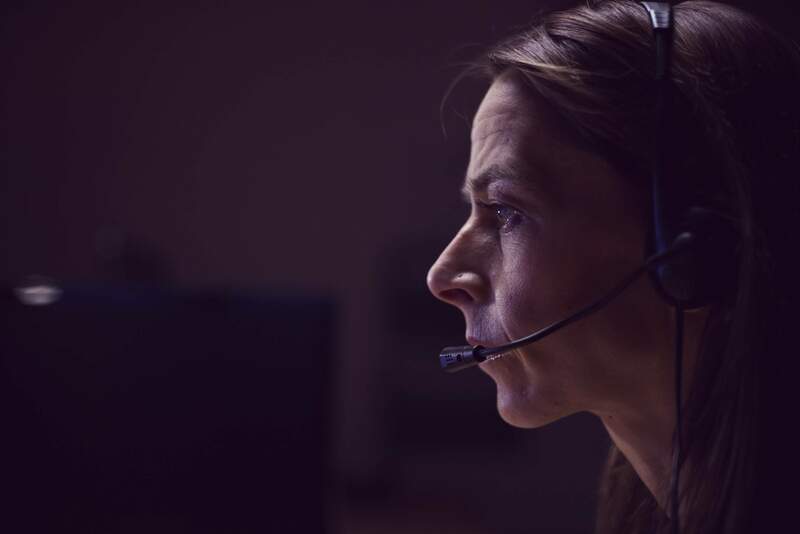 The tense tale of a fire control room telephone operator and her attempts to save a young family from a blaze in their home, as a viewer of this dramatic short you’ll face an anxious wait as Emergency Services rush to help a trapped mother and son. Kickstarter funded and shot over two days in London, the script for Operator was based on an actual 999 call that terrified director Bartleet upon hearing it. “It became clear straightaway that the story would make a powerful film”, she admits in a statement on the film’s website, “we could really bring to the audience’s attention what an amazing job the operators do, remaining calm and composed in such stressful situations”. Set entirely in the control room where the titular operator works, the success of Bartleet’s film relies heavily on two performances; those of Katie Dickie (Game of Thrones, Prometheus) and Vicky McClure (This is England, Broadchurch). Dickie is calmness personified as the Emergency services worker and truly displays the confidence you would hope to find from someone in this position. While McClure, off-screen for her entire role, perfectly portrays the panic a parent would feel if their child was in grave danger, her performance adding the essential sense of dread needed to make the film so tense.